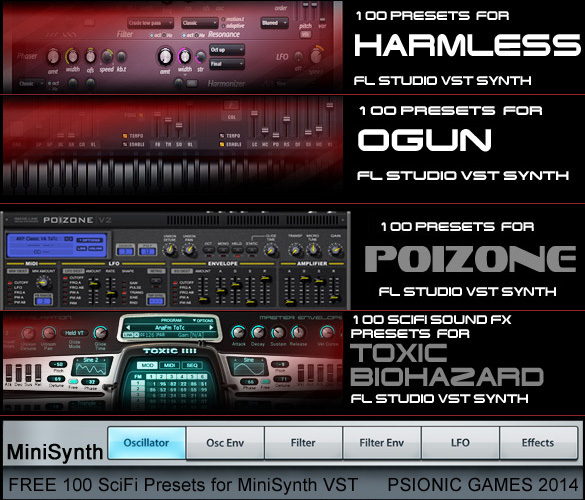 UPDATED JULY 2017: 100 NEW MINISYNTH Presets as the old ones no longer worked in FL Studio - Sorry about that! PLEASE RE-DOWNLOAD!! 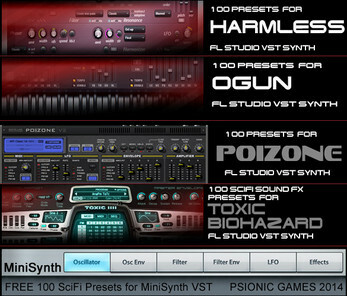 There are 5 zips in the download each containing 100 presets personally created by me for each of the software synths above - obviously you need to own the synth for them to work but in the case of Minisynth it is free with all versions of FL Studio. Click DOWNLOAD below and choose "No thanks, just take me to the downloads" to download it for FREE.